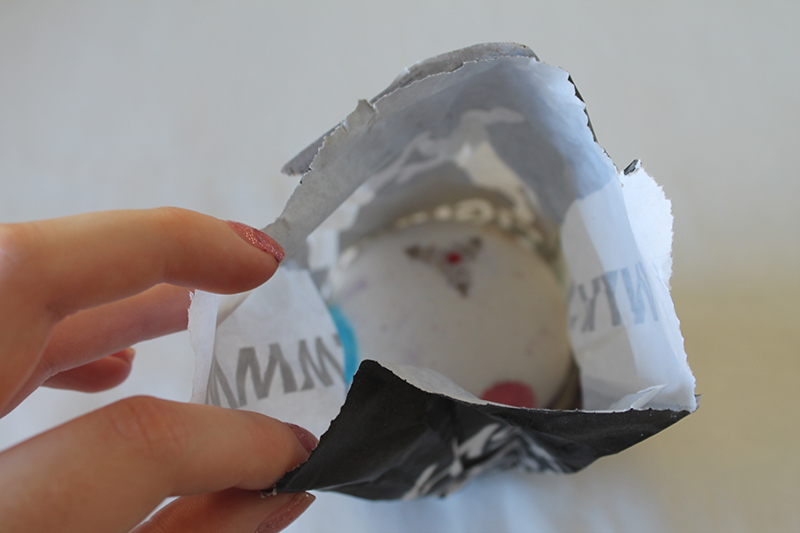 Limited Edition Christmas Luxury Lush Pud | emma etc. 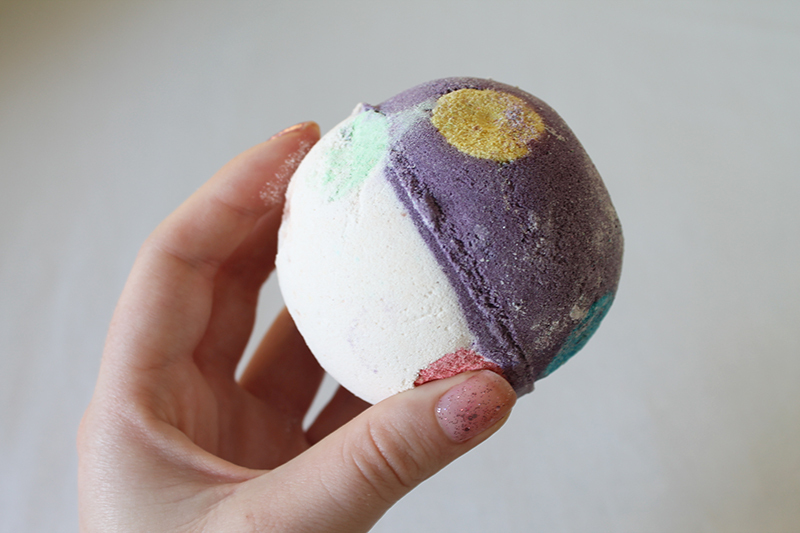 One sneaky little purchase while in town later, and I have a Lush bubble bomb in my hands. I did actually buy something else there for my sister's Christmas present, but I decided to treat myself to this since I live so far away from a Lush store; only buy a few things a year, and because I wanted to try at least one of their limited edition Christmas products. The bubble bomb I got was the Luxury Lush Pud which I'd seen a couple of YouTubers purchase and is part of the limited edition Christmas range. Once I had dropped it in a bath of warm water, the colourful bits separated and floated to the top while it exploded into a huge colourful mess, settling to a dark purple colour. Once you're in, it immediately softens your skin and continues to be silky soft after you've had your bath. This one didn't really smell like anything in particular to me, but I find it so relaxing and nice to use after a tiring day. It makes you feel luxurious while your water is vibrant, thick and I found that it even softens your face because of the steam rising up in your bath, if you make it extra hot like I do. The only downside to it is that it leaves purple marks on the inside of the tub where the water level stopped. But, nothing a bit of scrubbing won't fix. 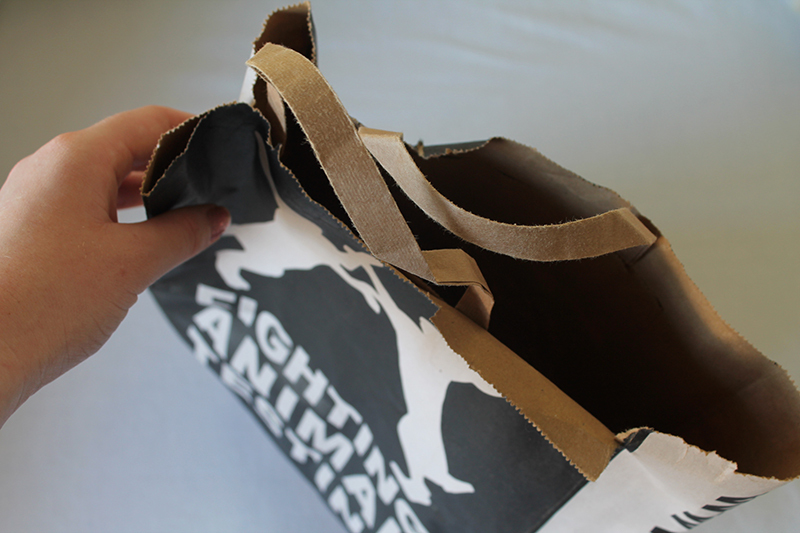 Next Christmas I think I'll probably be heading down to Lush to sample even more of their limited edition goodies. 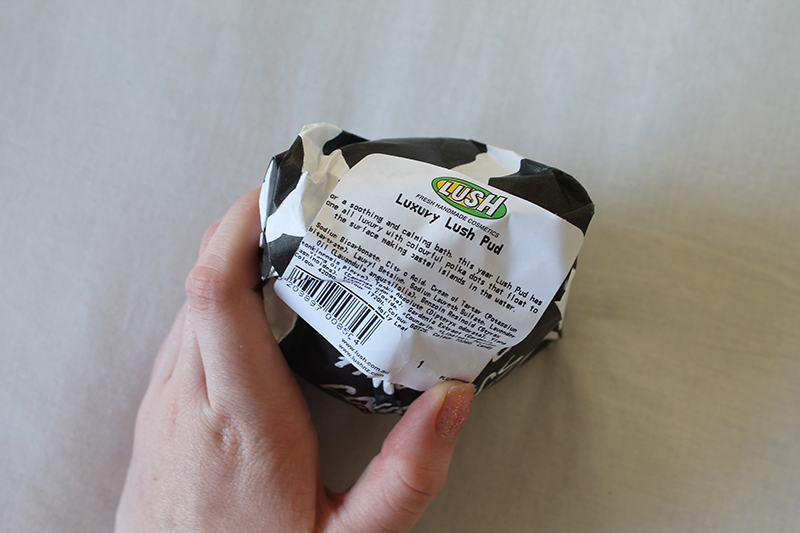 Have you purchased any Lush products, or any bath bombs? 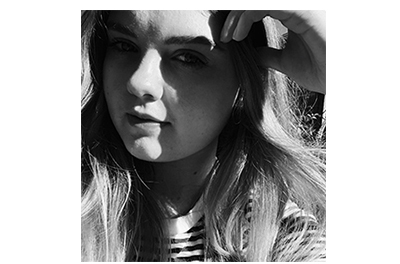 The next Lush product on my mind is the Tea Tree Water or the Eau Roma Water.